The breaking news feed will appear only when a user is logged into Google account. Right now, we don’t know whether it’s a part of beta program or rolled out as final release and for how long will it go. 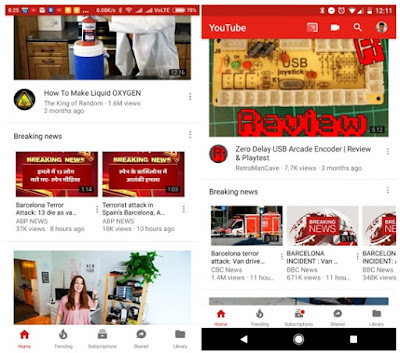 The screenshot shared by Android Police shows that there is a horizontally-scrollable format of seven videos and there is same news for everyone in the same general region. If you are not interested in the current news YouTube gives the option to remove it. On desktop hit the “x” or the “Not interested” button in the three-dot menu on mobile devices. We are keeping an eye on this, so stay tuned for further updates.